HMI/SCADA Software enables complete remote facility control. 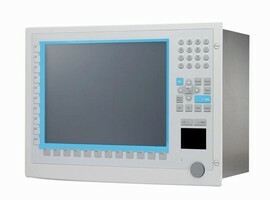 Industrial Panel PC features 15 in. XGA TFT LCD display. Serial Device Server works over Ethernet/IP networks. 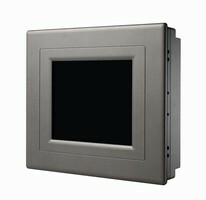 Industrial Panel PC features 17 in. SXGA TFT LCD. Including Intel Pentium M/Celeron M processor up to 2 GHz, Model IPPC-6172A comes equipped with 5 USB 2.0 ports, up to 2 GB DDR2 memory, CD-ROM, 2 PCI expansion slots, and Gigabit LAN support. Supporting Microsoft Windows 2000/XP/NT, rugged HMI device features gull-wing design, flat-sealed NEMA4/IP65 front panel, and optional touchscreen. Smart Utility accelerates embedded application development. 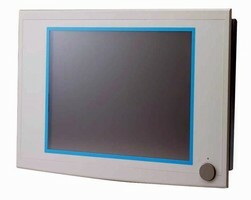 XGA LCD Monitor offers 1,024 x 768 resolution. 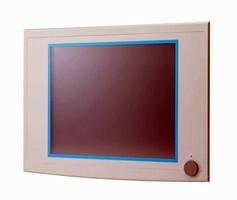 Touch Panel Computer has NEMA4/IP65 compliant front panel. Software enables development of graphic user interface. PoE Splitter meets demands of industrial networks. 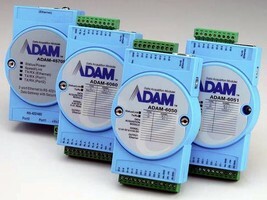 Ethernet I/O Modules feature P2P functionality.